DigitalCube launched Shifter at WordCamp US today, the first serverless hosting product for WordPress. The Japanese development company specializes in WordPress and AWS integrations. Shifter was built by the same team behind the company’s Amimoto cloud hosting platform. Shifter converts WordPress sites into a series of static HTML files and serves them up via a global CDN (AWS) for high performance hosting, eliminating the burden of software maintenance and server updates. The product targets websites that have a low frequency of updates, such as business or portfolio sites, as well as maintenance and support providers. Shifter allows site owners to turn WordPress on or off in its administration center. The service is a hybrid of a WordPress static site generator and a hosting solution. Shifter hosts the static files it creates and allows users to connect their domains. It leaves the standard WordPress management and administration workflow intact and compiles a new version of the static files anytime users update content inside WordPress. The service starts at $30/month and offers support for unlimited sites. 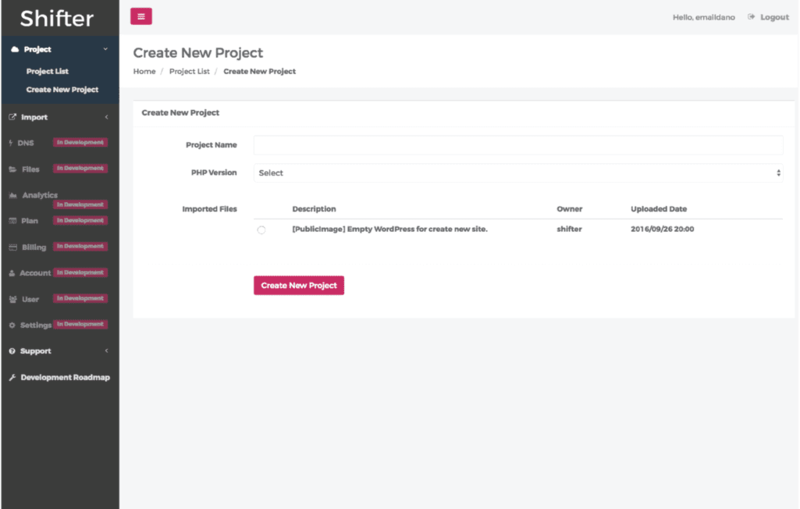 As the first commercial product to provide serverless WordPress hosting, Shifter offers a unique way to tackle the security concerns that plague WordPress and its plugins and themes. Because the software is used by more than 27% of all websites, it has become a big target for hackers and spammers alike. Shifter’s creators see WordPress as a prime candidate for serverless architecture. DigitalCube team members met the Philadelphia-based J2 Design company at last year’s WordCamp US and partnered with them to improve their branding, copy writing, and approach. Together the Amimoto and J2 Design teams took the project from concept to launch in about three months. They built Shifter with AWS, Docker, and the Serverless Framework. The development team behind the project also supports and manages sites such as The Japan Times, AOL Japan, and Mazda. They frequently contribute to open source projects, including WordPress, Serverless Framework, and WP-CLI. Shifter has exited beta and the company has launched a Kickstarter campaign with a $10,000 goal to fund future development on the project’s roadmap, including domain mapping, a way to visualize usage of bandwidth and storage, multi-factor authentication, advanced scheduling, and WP-CLI support.